1. The Chronicals of Vladimir Tod (8th grade bites). This is one of my प्रिय books. 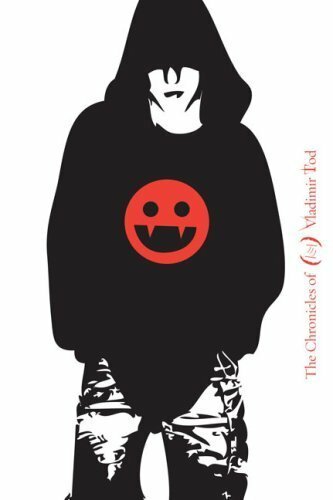 Its a vampire book आप HAVE TO READ IT!!!!!!!!!!! ITS SOOO GOOD! PLEASE READ!!!!!!!!!!!!!!. Wallpaper and background images in the किताबें पढ़ने के लिए club tagged: books image reading pleasure vampire best awsome. This is one of my प्रिय books. Its a vampire book आप HAVE TO READ IT!!!!!!!!!!! ITS SOOO GOOD! PLEASE READ!!!!!!!!!!!!!! This किताबें पढ़ने के लिए photo might contain स्वेट-शर्ट, स्वेटरशर्ट, and sweatshirt.